First off, take a piece of construction paper and cut 3 or so long strips out. 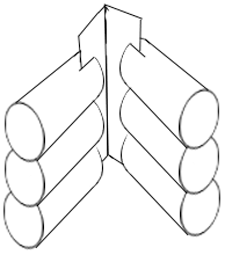 These will be used to connect the tubes (logs) together. 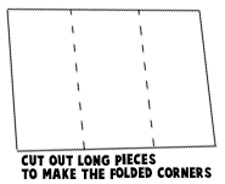 Fold the pieces of construction paper, these will be the corners of the log cabin to hold the tubes together. 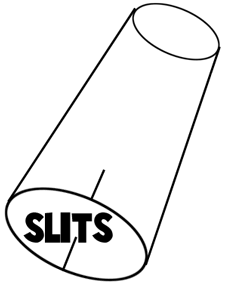 For all of the cardboard tubes….make slits parallel to each other…as you see in the picture above. 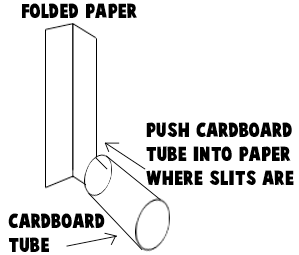 Here is a picture illustrating how to put the log cabin together…take the piece of folded paper…and stick the cardboard tube onto the piece of paper by inserting the paper into the slits that are on the tubes. 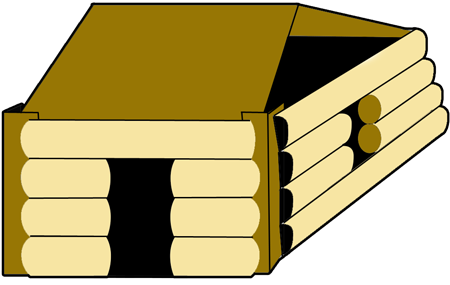 Here is one of the folded pieces of paper (corner pieces) with 6 tubes on it. 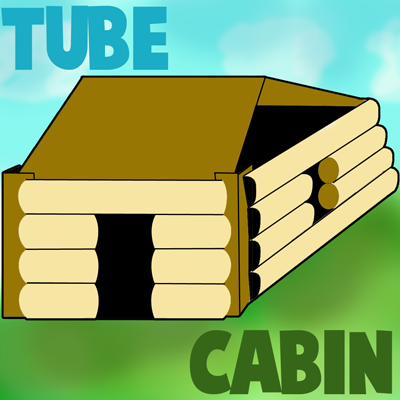 This shows you how we will build the log cabin. You don’t have to follow my directions…lay out the cabin the way that you want to. 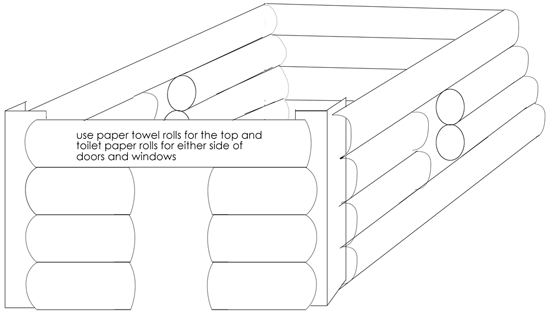 This is how you make windows and doors….you can use toilet paper rolls for the parts around the doors and windows…and use long, paper towel rolls for logs that have to go all the way across the structure. 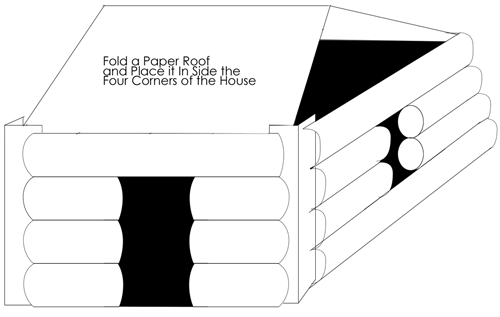 Use an entire piece of paper for the roof and then just place it within the four corners of your log cabin house. I hope that you enjoyed this building arts and crafts project to help celebrate Abraham Lincoln’s birthday for Presidents’ Day. Thank you so much for the idea, it is for my daughter age 10 for school and she as to dress like Sacajawea she was a shoshone girl Indian, she helped Lewis and Clark so she could be a guide she could tranlate and help them with food. If it was not for Sacajawea Lewis and Clark might not have made it from the east to the west or even to the pacific ocean.